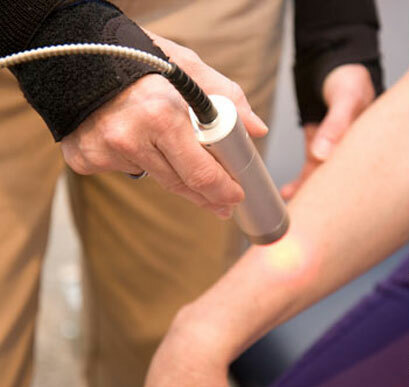 Deep Tissue Laser Therapy™ is an innovative, scientifically based, therapeutic modality. This new technology offers advanced pain relief and expedited healing times through a process known as photobiostimulation. The LCT-1000® delivers deep, penetrating, photonic energy to bring about profound physiological changes. ATP (Adenosine-triphosphate) production is increased, inflammation and pain reduced and circulation increased at the site of injury. These changes in cellular chemistry are triggered by the LCT-1000® making it a true healing modality. 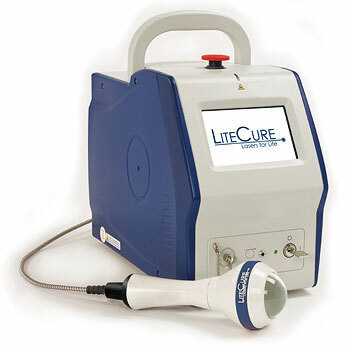 LCT-1000® Deep Tissue Laser Therapy does not require the use of drugs or surgery, and there are no known side effects or risks that may occur with other forms of treatment. In addition, it can often achieve results faster than other treatment modalities. During the treatment the patient will feel a deep soothing warmth. This pleasant sensation reassures the patient that the laser is stimulating cellular activity.